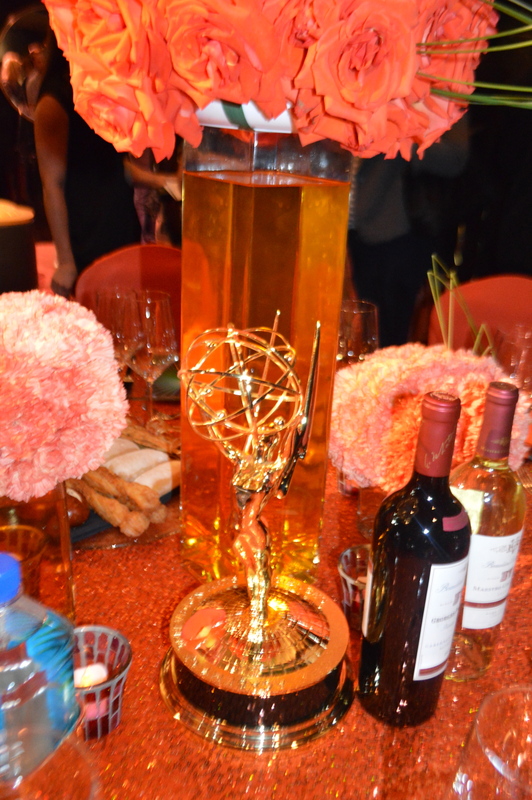 Yesterday I went to the Television Academy in NOHO for a sneak peek on the plans for this year’s ultimate Emmy® after-parties: the 2014 Creative Arts Ball on Saturday, August 16 and the 66th Emmy Awards Governors Ball on Monday, August 25. 7,000 guests including all of the year’s nominees, presenters, invited attendees and the most Emmy Award winners will toast with glasses of BV Vineyard wines at the Los Angeles Convention Center. Guests will be welcomed by dazzling red, orange, yellow, green, blue and purple colors throughout the West Hall of the Los Angeles Convention Center. Band, a high-energy Top 40 band. Extreme Beam will captivate partygoers with their dynamic dance routines. On the south end of the ballroom, the Debbie Allen Dance Academy dancers will liven up the evening performing to the beats spun by DJ CoryLive. Rounding out the evening’s entertainment is String Theory, a hybrid performance ensemble renowned for their large- scale performance installations. 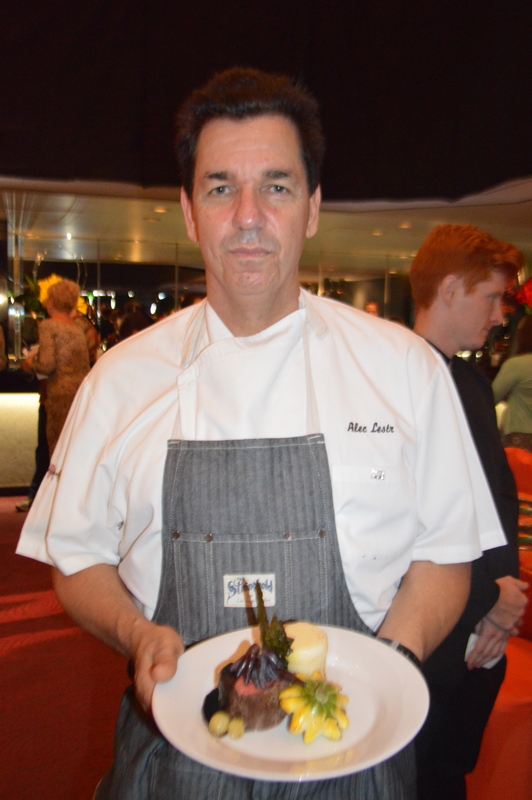 Patina Catering, under the direction of acclaimed Chef Joachim Splichal and the Patina culinary team lead by Chef Alec Lestr and Chef Greg Wiele, has created the three-course menu for each Television Academy after-party. The first course salad mixes peaches and heirloom tomatoes with buratta, candy striped figs and marcona almonds. The main course features filet mignon, a potato “bone” filled with golden potato puree, caramelized cippolini, crisp lacinato kale and zephyr squash, in a sauce of red wine and artisan grapes. The dessert is a contemporary take on chocolate s’mores designed by Patina Restaurant Group’s Executive Pastry Chef Carlos Enriquez. The official chocolate provider to this years Emmy Awards is Cellar Door Chocolates. Erika Chavez- Graziano and her team is making thousands of sweet treats for the guests. The chocolates pair nicely with BV wines or Fiji Water. Kevin Lee from LA Premier flowers told me he and his staff will be making 700 floral center pieces for the event. 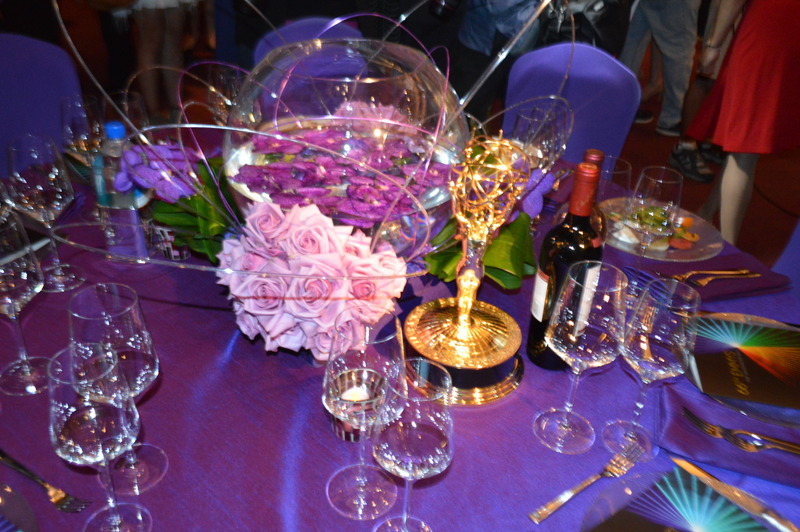 The Creative Arts Ball and Emmy Awards Governors Ball are produced by Sequoia Productions. Both events will take place in the West Hall of the Los Angeles Convention Center immediately following the Creative Arts Emmy Awards on August 16, and the 66th Emmy Awards on August 25, respectively. Watch the 66th Emmy Awards airs live Monday, August 25 (8 p.m. ET/5 p.m. PT) on NBC and will originate from the Nokia Theatre L.A. LIVE in Los Angeles. The awards will be hosted by Seth Meyers.